Are you 21 or over? If not, this is point where you should turn away. This post is only for those 21 and up! There is not much in this world that beats a great libation! There’s just something so great about a refreshing alcoholic drink on a hot summer day. We’ve rounded up our personal favorites in hopes of adding a few to YOUR arsenal! Champagne Cocktails: Champagne is delicious on it’s own. But, what if you could make it better? 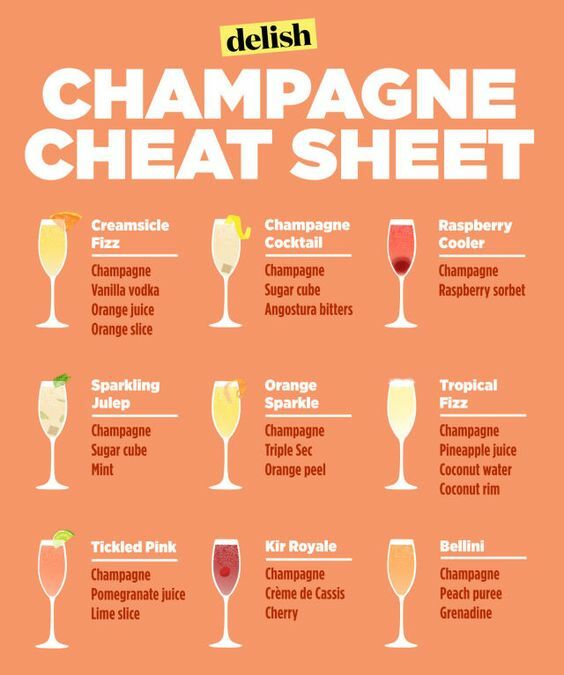 Mimosas are champagne cocktails… but (like a sundae bar) there are all SORTS of mix-ins that can make champagne even sparklier! Check out this handy guide from delish.com for some ideas that might interest you! Herbed Lemonade: Why should botanical be relegated to gin? I love LOVE herbed lemonade. Thyme lemonade in particular. Tho rosemary is ALSO my jam! Add some tequila in there? And you’ve got yourself a cocktail! Thyme lemonade also pairs well with bourbon and vodka. Actually, come to think of it, I can’t think of anything it WOULDN’T be good with. Add beer, you’ve got yourself a shandy! Herbed lemonade. Do it! Sangria: Who doesn’t love a good sangria? Wine, chopped fruit, fresh citrus juices… It’s basically just a punch designed to taste. Not sweet enough? Add a simple syrup sweet component (Sprite, ginger ale, infused syrups). Not enough lemon? Add more! Season it to your liking, and stick it in the fridge! And, bonus: boozy, soaked fruit! A drink AND a snack. The Classic Marg: 1 part tequila, 1 part fresh lime juice, 1 part agave nectar: over ice. Some notes: silver/clear tequila is the way to go (Bandolero is a favorite), real lime juice is crucial to the brightness of this cocktail. If you live near a Whole Foods, they sell jars of lime juice to save you some time… if not, break out that juicer. Who knew that elbow grease could make it taste better! A delicious cocktail without ALL the calories! Mix in a shaker with ice. Pour into a cold glass. Those are my five! Always drink responsibly and never drive. Also, apologies to those who noticed we were silent last week. I was traveling with limited internet. My bad. Summertime… what can I say! I am with Leigh on the champagne- it is delicious! I love the bubbles. Lately, I have been drinking the finest Andre Peach Moscato champagne Mimosas. They are so good especially sitting on the beach! Andre makes different varieties including strawberry and dry varieties. I am just partial to peach. Sometimes you might need a punch or you might or a pitcher of somethin’-somethin’ to stash in your fridge or cooler. My friend Hunter will mix up a something tasty in a pitcher for the beach. Here is a winning recipe that is easily adaptable to your tastes. Start with a flavored vodka of your choice- why don’t we use Absolute Manderin for our purpose, then you need a mixer- and for hot summer days, Crystal Lite makes a wonderful mixer. Not to mention it comes in an aray of flavors. With our orange vodka, let’s do strawberry flavored. And to finish this off a dash of soda- plain seltzer water (club soda) will do or your preference. Hunter is a fan of La Croix- I would probably just use Sprite. Now. I want to share with you a drink from the drink menu from where I work at Cobalt. It’s called the Orange Beach Sunset. I brought it to the table when we were redoing the menu last year. It should come as no surprise this is a Sailor Jerry Spiced Rum based drink. It’s easy and delicious! 1.5 oz of Sailor Jerry, .5 oz of banana liquor, 2-3 oz of pineapple juice and a dash of grenadine. This is the epitome of a fruity, rum drink. I. Love. Margaritas. Traditional or Flavored. I love them all. I had to put them on my list too. The keys to a wonderful margarita are A.) NEVER, EVER use cheap tequila. It doesn’t have to be the most expensive, but cheap tequila will destroy you and I am with Leigh, silver tequila is my choice. B.) your mix- homemade it best and here is a quick guide: lemon juice, lime juice and simple syrup- all to your taste. C.) And Grand Mariner- a drizzle of this on top. It is what dreams are made of. My co-worker, Duy, who I love, makes the best margaritas because he just lets his imagination run wild. He is a Patron Silver kind of guy (again, never cheap tequila) and my favorite one of his he begins by muddling cilantro, jalapenos and limes as the base of his margarita— and oh my goodness- the end result is amazing!!!! Anyway, margaritas are great summertime cocktails and are really, quite versatile. Oh Dear Lord, all this talk of drinks is making me thirsty!! I can’t even make it to #5. 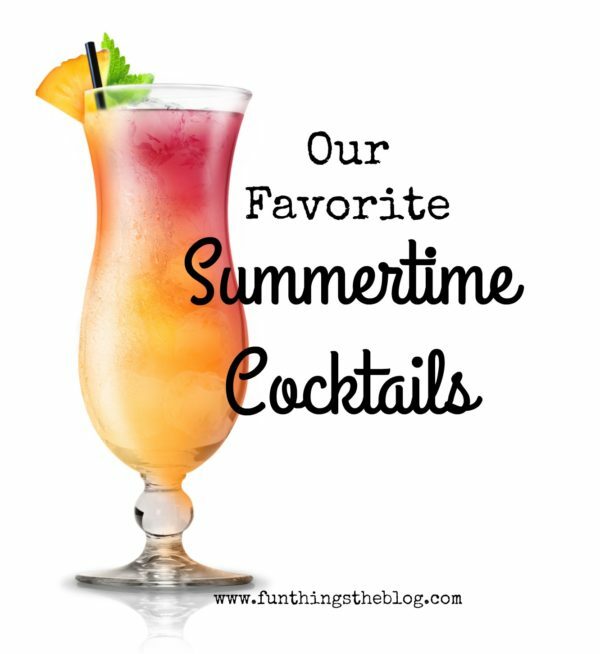 This list of summer time cocktails is our way of reminding you to take time to slow down and relax this summer. We are eager to hear what you are sipping on this summer so please leave us your favorites in the comments.